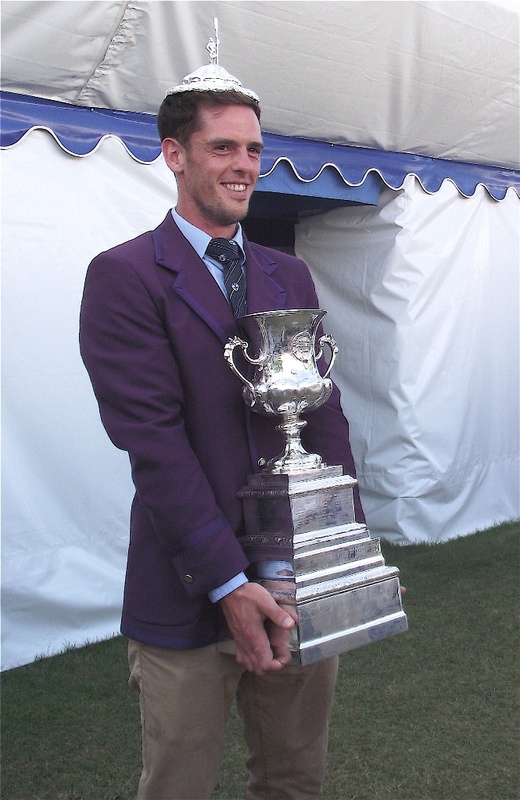 Tim Koch’s final Henley piece for this year. A Wyfold hat and accessory. Shelter in sun and rain! 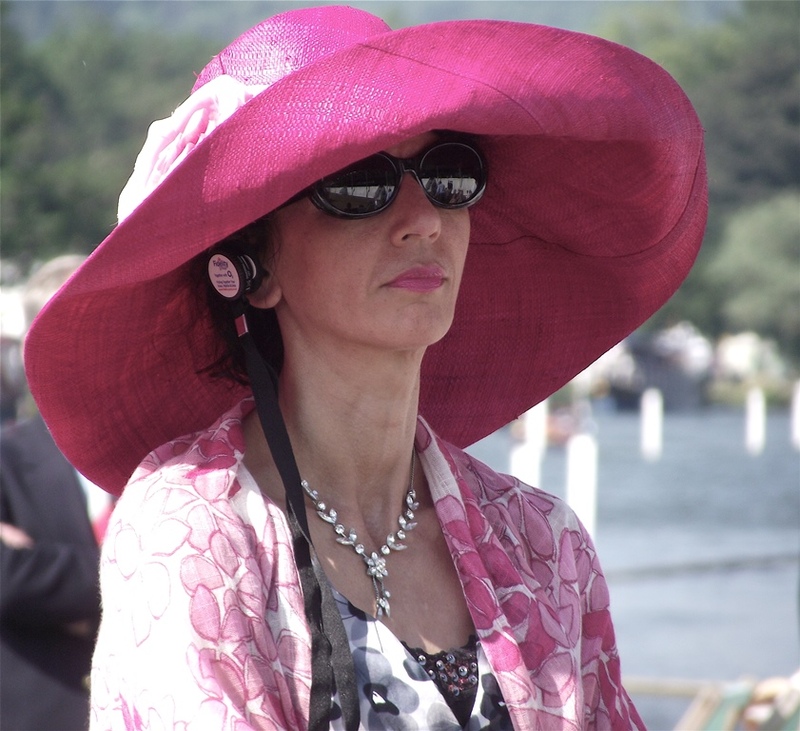 Style and substance – a ‘fascinator’ and a Panama on Temple Island. 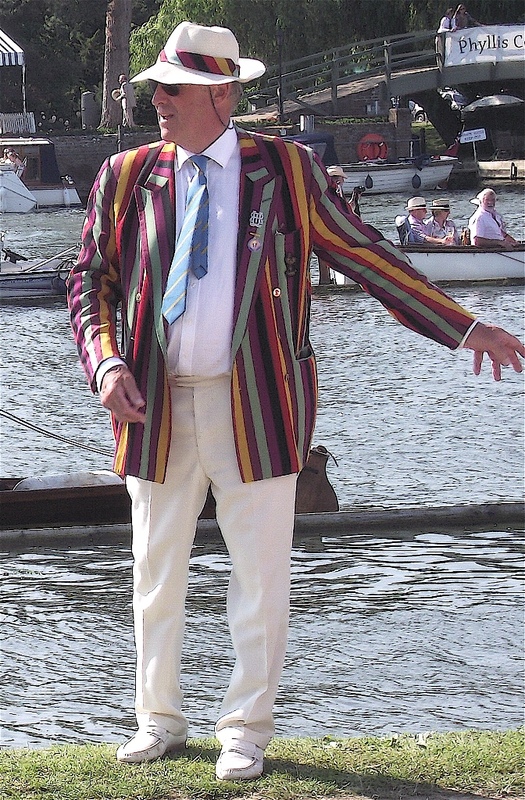 If you keep still while wearing a Cambridge Archetypals blazer, people think that you are a deckchair. 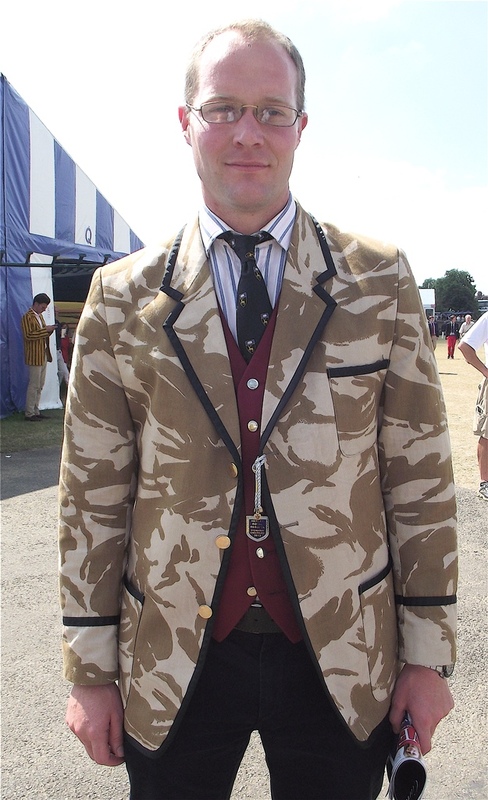 The (British) Army Rowing Club blazer is made from desert camouflage material (‘1991 two-colour variant’). 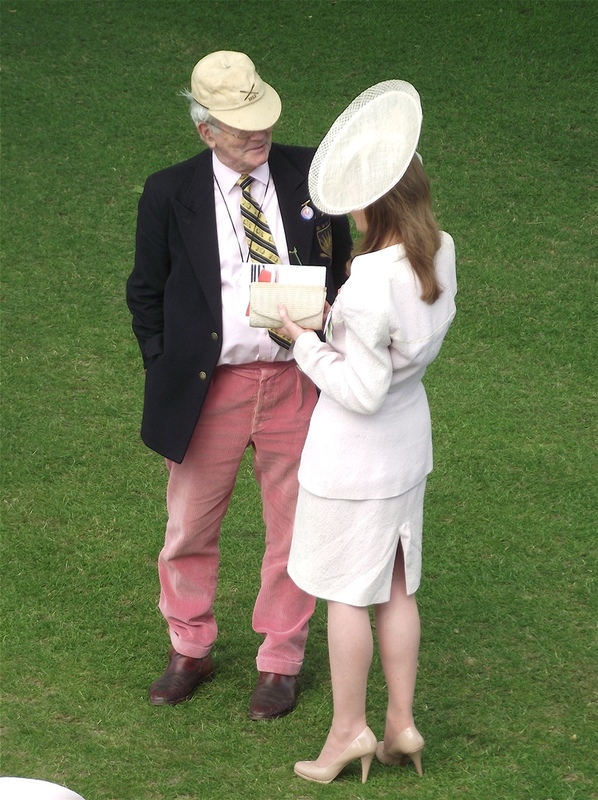 This is cooler than the usual wool jackets plus it could enable the wearer to hide when it is his turn to buy a round of Pimm’s (though not in the case of this officer and gentleman I am sure). In military speak, ‘camouflage’ is called DPM or Disruptive Pattern Material. Aleksandar Aleksandrov and Mahé Drysdale. 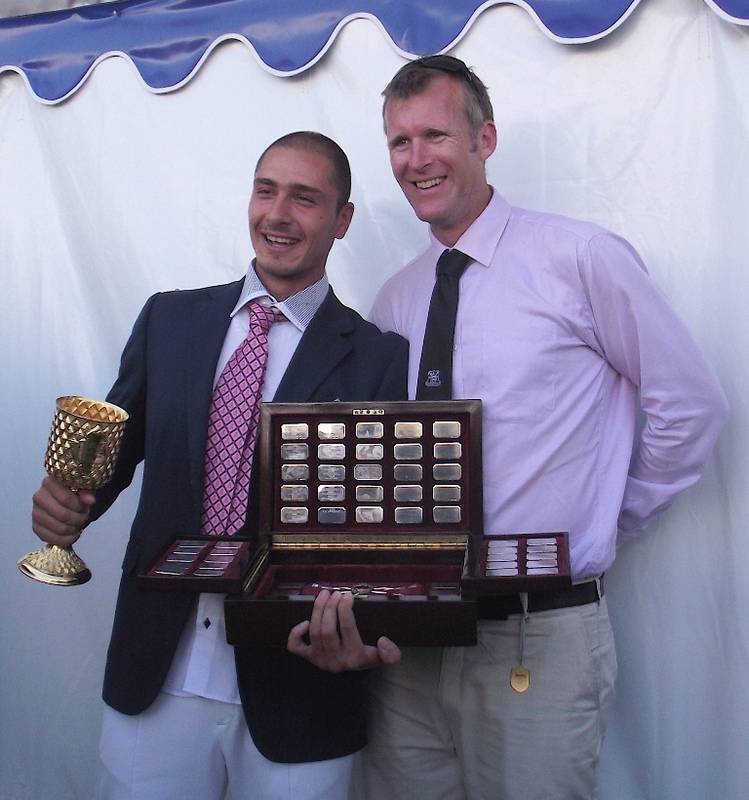 On Friday, the little one on the left beat the big one on the right on his way to winning the Diamond Sculls. 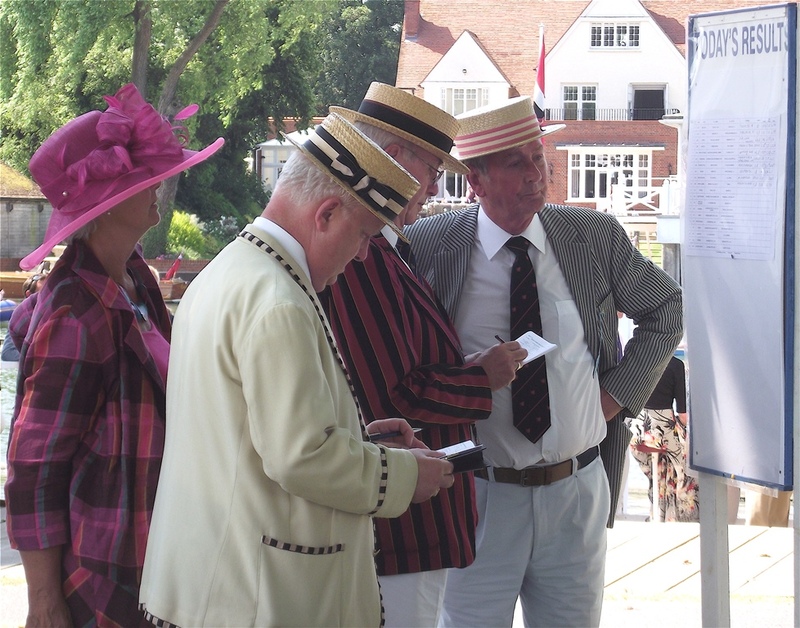 Miroslava Knapkova, winner of the Princess Royal, looks after Aleksandrov’s Pineapple Cup while he takes a call. 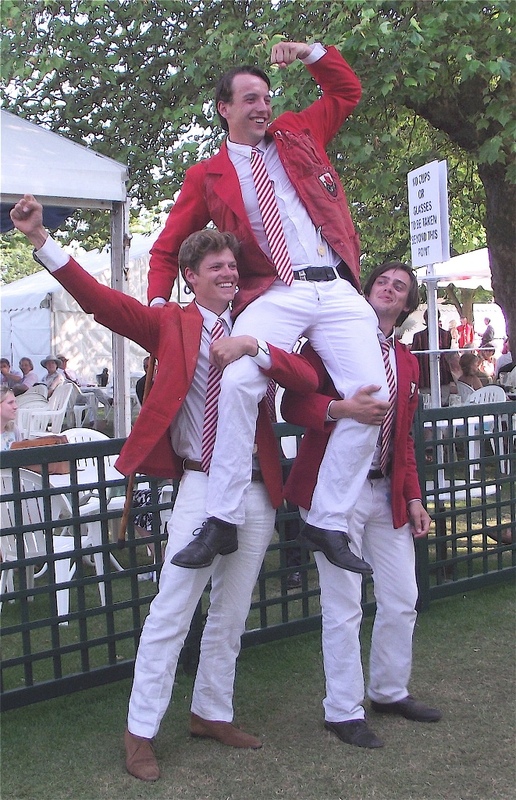 Students from Delftsche Studenten Roeivereeniging Laga celebrate winning the Temple Challenge Cup. The Netherlands is very flat so this is one of the ways the Dutch use to get a feeling of height. A sought after picnic spot along the course. Henley’s Sanctum Sanctorum. 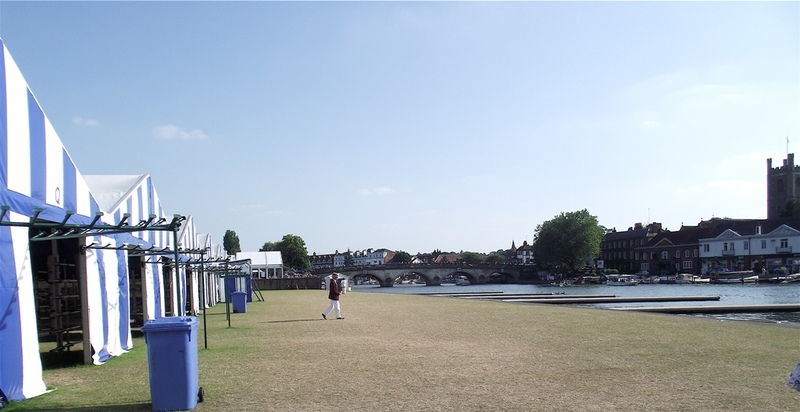 The ‘Committee Lawn’ is situated between the Stewards’ Enclosure and the boat tents and is fronted by the docking area for the umpires’ launches. 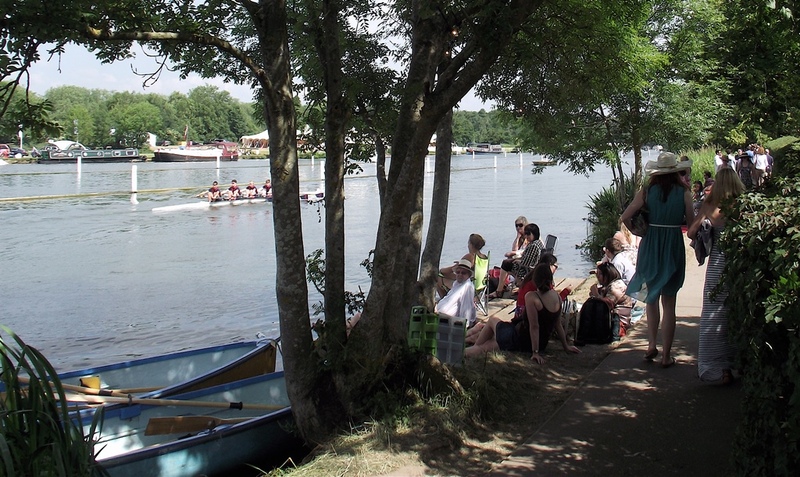 The most civilised part of the entire site, only the sixty Stewards and their guests plus other officials of the Regatta may enter. 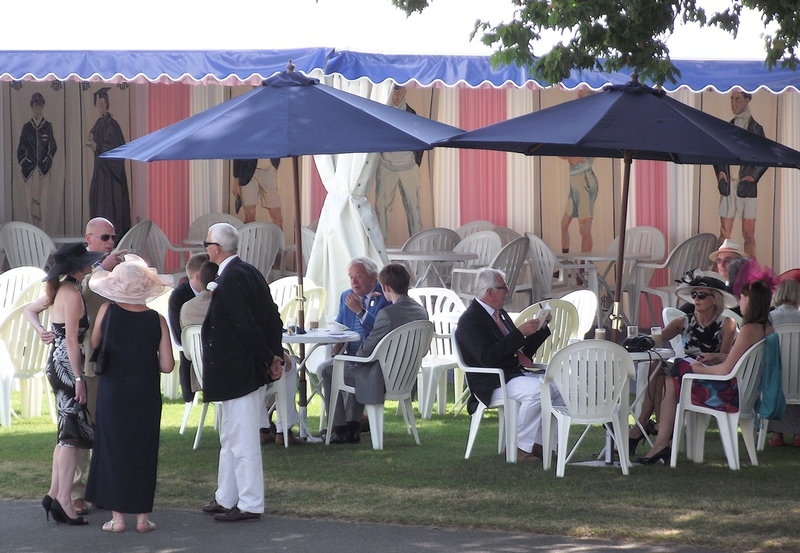 The bar on the Committee Lawn is decorated with copies of Vanity Fair ‘Spy’ prints of eminent Victorian oarsmen. I disagree, however, with one of their choices. 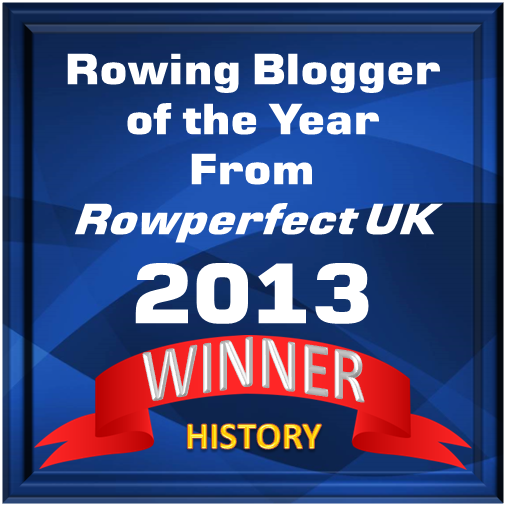 The picture on the far left is of EJH Smith who was an enthusiastic but undistinguished oarsman. He is certainly outshone in the company of (left to right) Dr Warre, Walter Crum, WAL Fletcher, Guy Nickalls and Sir Harcourt Gilbey Gold. The End. 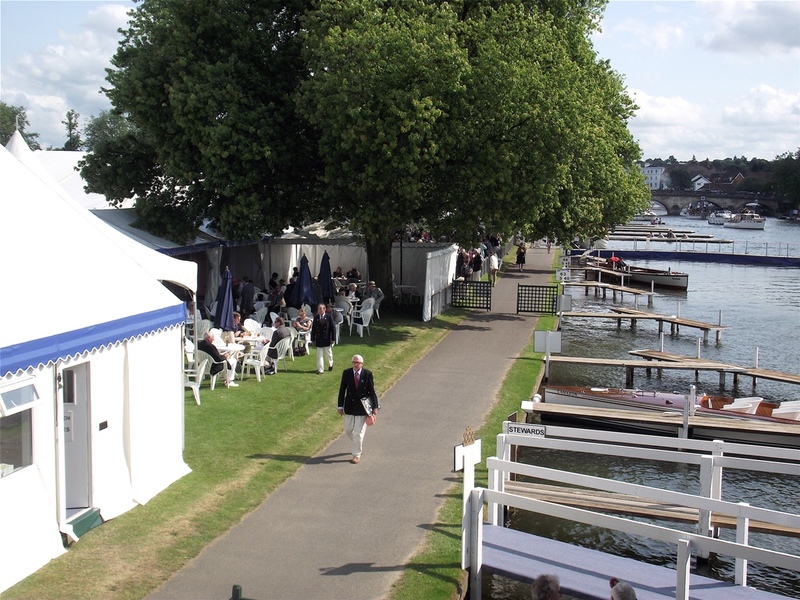 The boat tent area, Sunday, 6 p.m.